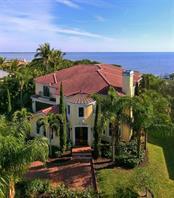 Consistently recognized as one of Michael Saunders & Company’s top producing agents, Richard Perlman offers a wealth of real estate experience to homebuyers and sellers throughout Longboat Key, Siesta Key and mainland Sarasota. Since joining the company in 1996, Richard has earned a reputation for being the consummate real estate professional, renowned for his outstanding customer service, attention to detail... more. and commitment to excellence. Originally from Westchester County, New York, Richard practiced law in the Philadelphia area for 20 years prior to entering the real estate field. Currently a member of the Florida Bar and certified as a Mediator by the Supreme Court of Florida, Richard’s seasoned talents as an attorney and negotiator ensure a swift and smooth transaction for every one of his valued real estate customers. 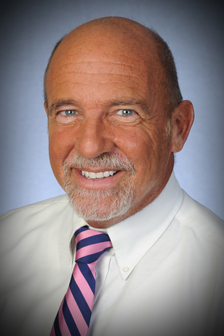 An active participant in the Longboat Key community, Richard’s passion and zest for the Sarasota lifestyle ensures he also brings energy, enthusiasm and in-depth local knowledge to his clients. When he’s not focused on real estate, Richard can be found boating, listening to music, and enjoying the natural beauty and the vibrant arts scene unique to the area. ...less. My husband and I recently bought a lovely property on Longboat Key, and we wanted to express our gratitude for the Realtor who found it for us. Richard Perlman immediately got our taste, patiently showed us a broad range of properties but zeroed in at once on the likeliest and best one, helped us through buyers' jitters, and actually made the whole process great fun. This process could not have been more pleasant or the results more delightful. It’s more than a sale with Richard! I have known Richard for over 12 years. He has not only been instrumental in the purchase and sale of multiple residences for me, but even more importantly, he was there and continues to be there for me, since the tragic passing of my wife which will now be 2 years ago. Richard keeps in contact with us, making sure I, along with my daughter, are doing well, and stays a part of our family. Richard Perlman provided a great service to us. He was very prepared and satisfied all our needs. It was Richard's very capable skill set that let all pieces fall into place. I would happily recommend friends and relatives to work with Richard. - Barb and Jeff M.